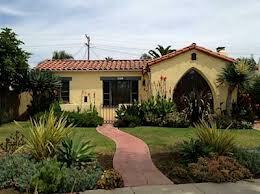 Kensington is a well-established upscale neighborhood located in the middle of San Diego. Kensington is named for a borough in London, England, and in fact, many of the street names in this neighborhood are of English origin. This community is known for its beautiful Spanish-tiled cottage style homes, quiet winding streets and immaculate lawns and landscaping. Communities surrounding Kensington are Normal Heights to the West, Talmadge to the East and City Heights to the South. This community is located close Interstate 15 to the West and Interstate 8 to the North, which makes it very convenient for commuters. Kensington is situated less than 15 miles from Downtown San Diego and is considered one of the most central neighborhoods in San Diego County. You can simply hop on any freeway and make your way easily not only to Downtown San Diego, but to the Gaslamp District and Little Italy as well. Here you will find hundreds of restaurants, bars, lounges, theatres and shopping for everyone’s tastes and styles, and all within a short distance. Kensington is one of the three mid-city urban neighborhoods whose main thoroughfare is Adams Ave. Like its fellow neighborhoods, it is distinguished by the classic neon sign which reads "Kensington" and spans Adams Avenue. Along this main street, you will find restaurants, neighborhood banks, dry cleaners and coffee houses, basically all the essentials you look for in any neighborhood. There is also a Kensington/Normal Heights Branch Library. The regionally famous Landmark Ken Theatre is located on Adams Avenue as well. This popular “Art Theatre” is not where you’d find the mainstream films; instead, you’ll enjoy documentaries and foreign films with very limited Independent films. Then there is the Ken Club, a respected, old-school neighborhood bar which always comes to life with “live bands” and DJ’s playing your favorite music at night. If you enjoy walking around your neighborhood, you’ll see others leisuring walking or riding their bikes in this safe, comfortable environment. Residents and visitors alike find themselves meandering through the winding roads of Adams, given the peacefulness of this community and the beauty of the older established neighborhoods. Living in Kensington will allow you to maintain an active lifestyle because there is so much to do. There is nearby Balboa Park with all of it’s many fantastic museums along with the world-famous San Diego Zoo and Seaworld. And let’s not forget about the San Diego beaches, all of which are only a few minutes away (Point Loma, Ocean Beach, Mission Beach, Pacific Beach and La Jolla). With homes resonably priced for any size family, why not lay down your roots in a quiet, upscale community like Kensington?